Have you started shopping this year for the holidays? Have you made a dent yet? I started but then had a hard time keeping track of everything I purchased thus far. I mean, the sales have been great! But how many sweaters have I bought my Aunt Marianne to date??? Audrey and I got to thinking – we need to create something that can keep track of it all. We jotted down a few notes and came up with two different sheets. Click here to print them out! They are free! Enjoy!! One will help you track what you want to buy as well as coupon codes to help you save big. 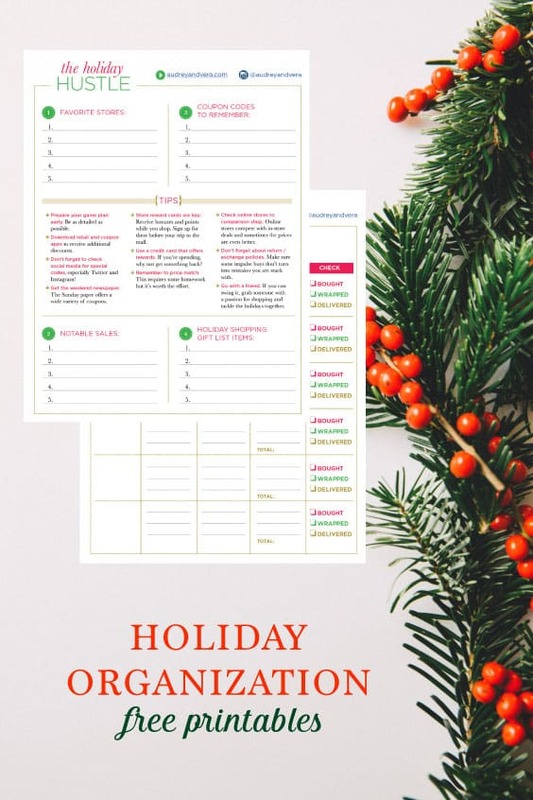 The other will help you manage your gift giving list and budget! !